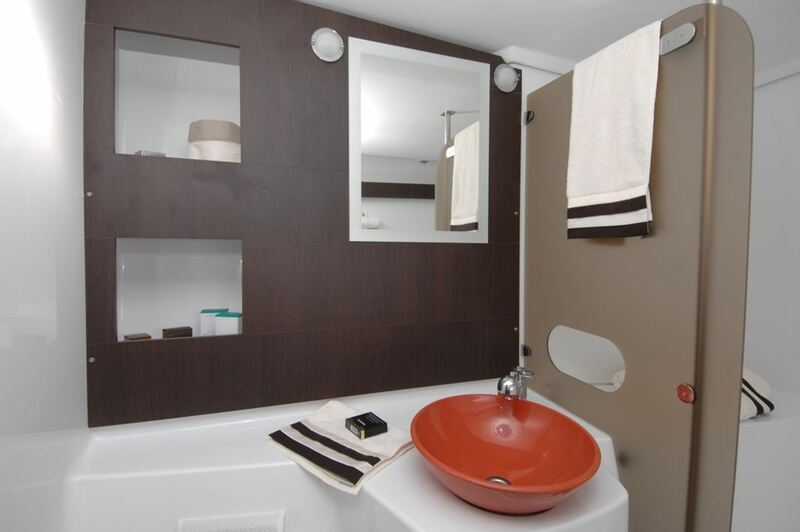 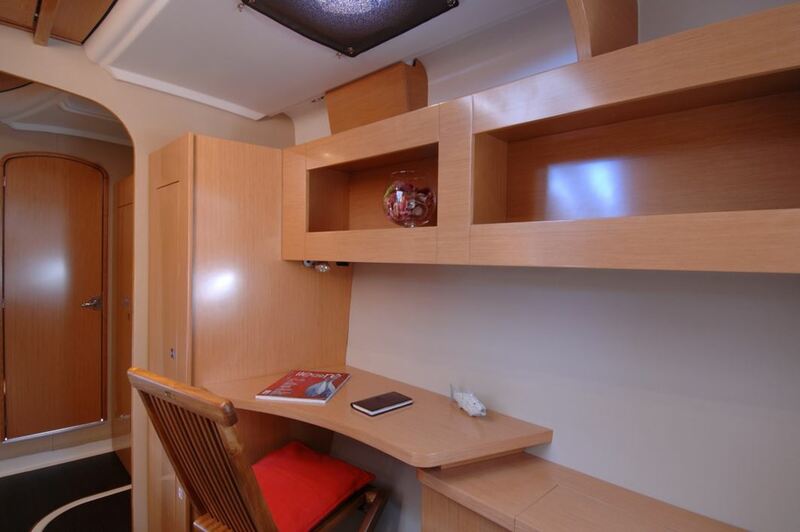 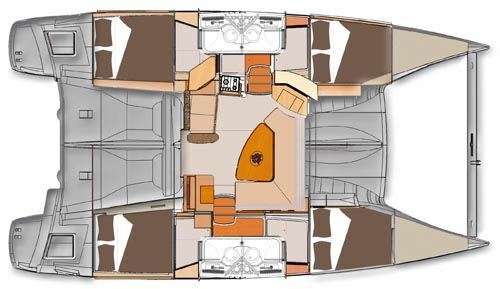 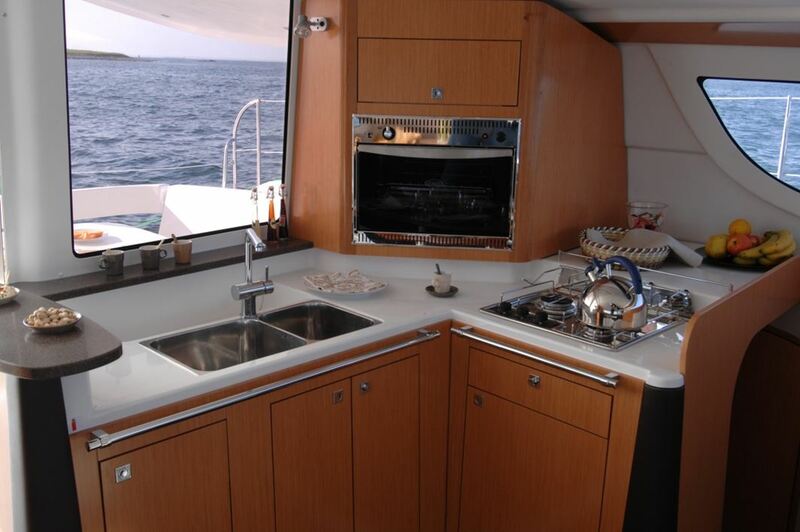 The deck layout is standard for catamarans, with plenty of space for lounging and handling lines or ground tackle. 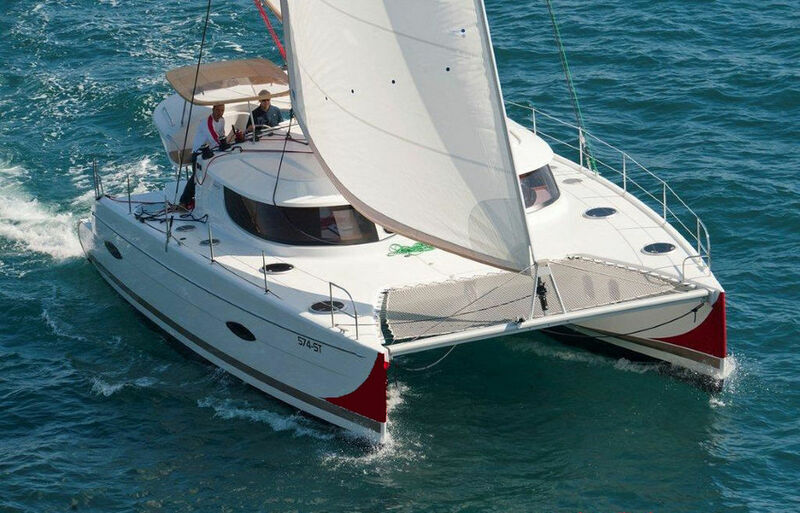 The targa top allows easy access to the big boom, so stowing the mainsail in its stackpack is no problem. 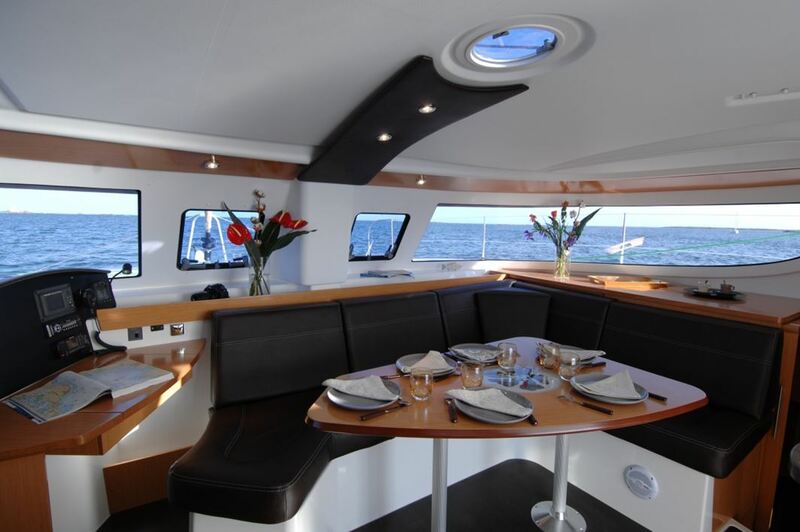 The helm seat is exposed, which means great visibility, but also full exposure to the sun. 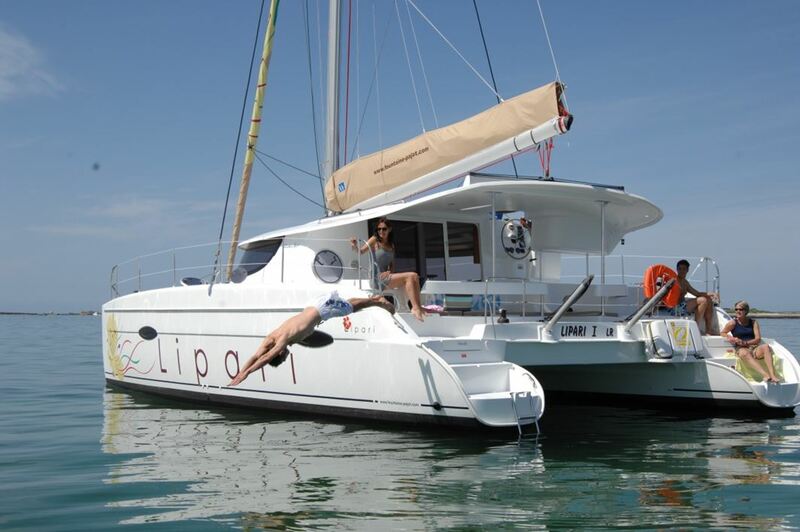 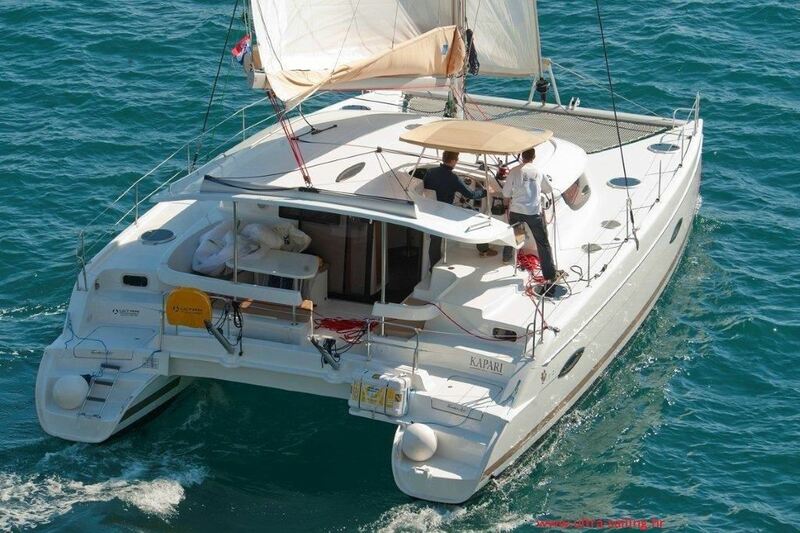 Book Lipari 41 and have a great sailing holidays in Croatia.